My friend Ian Bateson is in England dealing with his father’s death and having the extra problem of making arrangements to take care of his almost blind mother. Thinking about all this last night I reflected on the diminishing circle of friends and how I have dispensed with my up-until-now all important phone book/diary. I call few people and even fewer call me. I told my wife last night, “I want to be having breakfast (huevos rancheros), papaya and café con leche in the heat of a Mérida café. I feel alien to this city where we live in. It is cold and our roses are not going to do as well if this cold persists. I miss my mother, my father, and our warm friends from Mexico. I miss my relatives in Buenos Aires. I want Argentine pizza.” Rosemary’s answer was that I make arrangements to make it so (at least the part of the Mérida café, our friends in Mexico and Buenos Aires). Because my father left our house when I was nine I spent most of my life with my mother and grandmother. I think that I had an unusually close relationship with both those women. In much the same way that I photograph children as non smiling adults, my mother and grandmother treated me like an adult during my childhood. 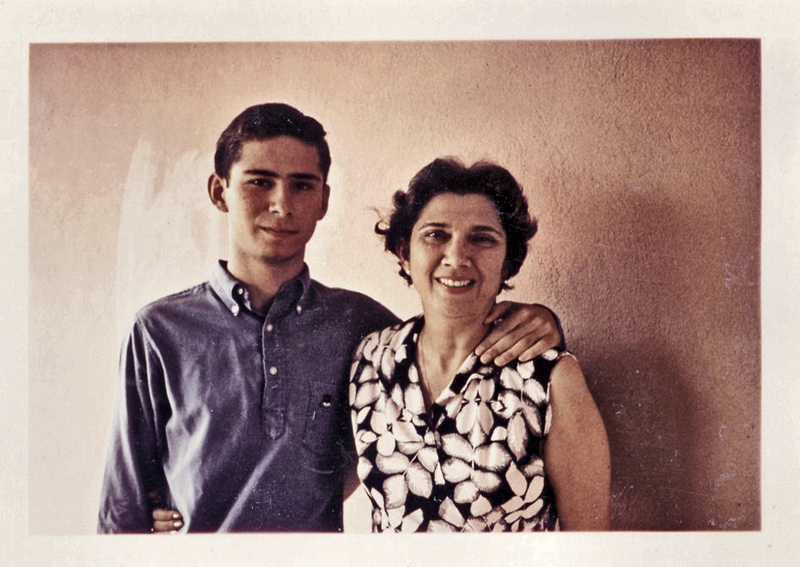 In my 20s I was the “joven” when I would visit my mother in Veracruz. I graduated to “el señor” when I showed up with my new bride Rosemary. Unlike in other marriages with terrible mothers in law, Rosemary and my mother Filomena got along famously. In fact if I think of it, it would seem that my Rosemary was a bit more outward with her “inhibited New Dublin, Ontario, reticence to show affection” with my mother than she was with me! We were struggling financially in our Arboledas, Estado de Mexico house. My mother was living with us and she understood what it was not to have money as that had been her situation most of her life. Without thinking twice one day we arrived to find that her piano was gone. She had sold it to pay for our mortgage that month. “I am deaf. I cannot hear myself play Chopin and Beethoven. I have to imagine it. It is painful. I didn’t need that piano.” I took it all at face value but it was Rosemary who was aware of the sacrifice my mother had made. My mother and I often talked. Rosemary told me that I was not very affectionate to her and that I treated her with little respect sometimes. One day that I will not forget my mother was most candid. She suffered from Meniere’s Disease. She had a constant ringing I he ears. This was the only sound she could hear as the disease had destroyed the workings of her inner ear. She had no balance and suffered terrible bouts of nausea. I did not know what to tell her and I was silent. Perhaps a year later she died in her bead of peritonitis and Rosemary and I both heard that breathing inwards that ended just there. I must say that many times in my 44 year marriage to Rosemary we have had our rough spots (in fact we went to counseling in the late 70s but it was a farce! She had a woman psychiatrist and I had a male one. We would decide together what we would answer to them in our separate sessions with them). It was not too long ago where I would say to Rosemary, “I am not happy in this house.” She would counter with the inevitable, “Then leave.” I would attempt to explain that he house was half mine. Those conflicts are long forgotten and we live with almost no conflicts. I would say that one of our bonds is a bond that we share. We both love my mother and we miss her. When I look at the baby grand Chickering in our living room I can only imagine the smile on my mother’s face if she could play it. In fact I can imagine her playing it as she imagines that she could hear it.